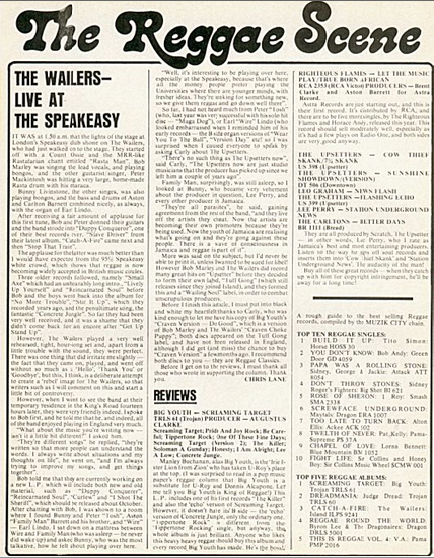 Writer Chris Salewicz describes the vibe at the Speakeasy during the Wailers’ four-night run in his book Bob Marley: The Untold Story. “Such was the buzz created by Catch A Fire that this set of London shows was a complete sell-out. More than that, the first night at The Speakeasy turned into the hippest cultural event that London had experienced that year. 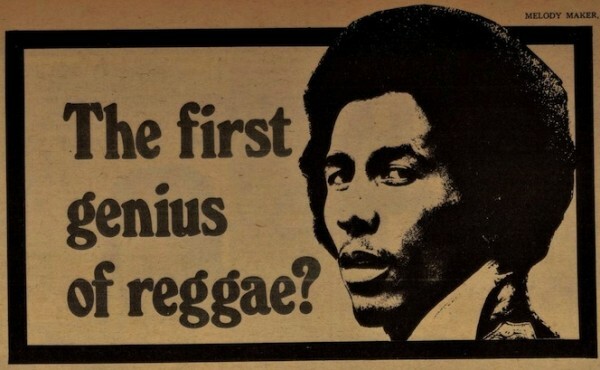 Moreover, for once this crowd waited patiently in its seats; the fact that the Wailers were so resolutely unpunctual in arriving onstage at their appointed hour seemed to be part of the attraction: this Jamaican soon-come way of thinking was deemed to be definitively cool. When the Wailers appeared, the contrast between the affluent audience and the group, with their shuffling demeanour, could not have been more pronounced. Crammed on to the tiny stage of The Speakeasy, the group had both a humility about them and a power in their performance. 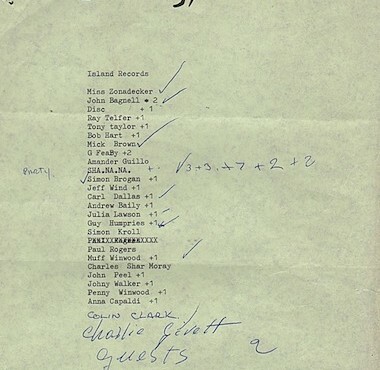 Included in the slide show is the guest list from one of the Speakeasy shows and the headline in Melody Maker magazine on May 21, 1973.